← Perfect Pitch Competition – CIAN Accepting Entries! I am very excited to finally write about my amazing trip up to Helena, Montana to talk about optics! This was such an enjoyable trip and one that will be a strong memory of my time at the U of A. This trip occurred back in May of this year. Getting ready for the first presentation. I’ve got all my outreach tools ready in front of me. Can you tell I’m excited? The video on “Real Holography” that I made prompted this trip. A teacher friend of mine in Montana watched the video and showed it to her students. She later told me how much they enjoyed it. Her school is in the category of a rural school, and is far enough from any major university that a solid STEM presentation is hard to come by. I spoke with the folks at CIAN, and they agreed to fund my trip up there! I still smile thinking about the event, I had so much fun. My teacher friend, Deanna Carlson, organized several events for me. 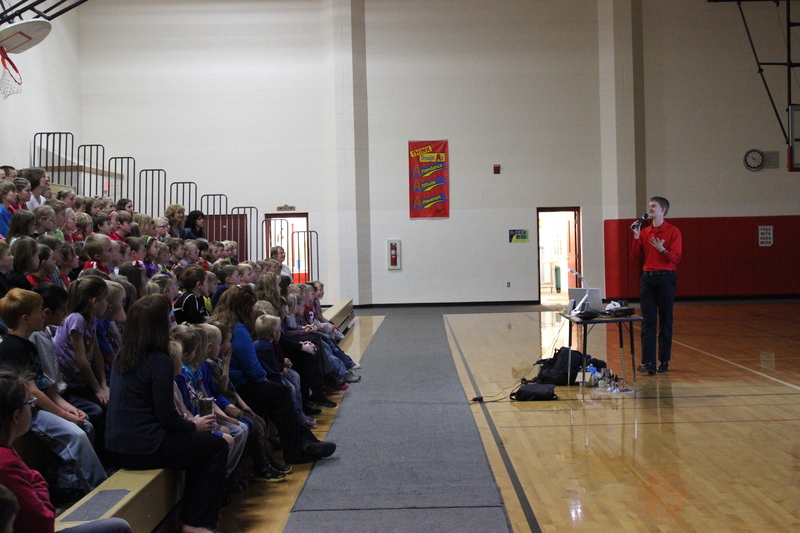 I would present in front of two assemblies at her school, one to the K-5 group, and one to the 6-8 graders. The next day, I would speak in several high school physics classes. First, I spoke to the younger kids (my favorite crowd). I brought several of my favorite outreach tools with me, such as diffraction glasses, the laser radio, the “holographic” (even though it’s not) pig, and others. The younger kids are my favorite because they get so excited about cool demos. There’s nothing like the collective gasp of almost 200 K-5 kids as they see the effect of diffraction glasses projected onto a large screen. Towards the end of the day, the first grade teacher for the school, Clancy Elementary and Middle school, asked that I come talk to her class again, because they had gotten so excited by my talk. I wish I could show the picture of myself with them, but not surprisingly, the school doesn’t allow pictures that could identify the kids to be posted on public websites such as this blog. It’s my favorite picture from this trip. These volunteers were quite confused by the optical illusions I showed them up close. 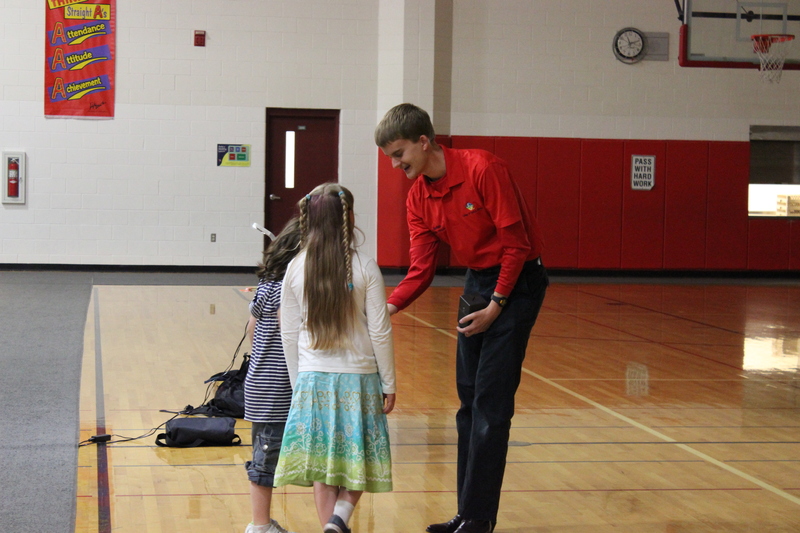 Not only did the kids enjoy the presentation, many of the teachers came up and thanked me before they left. 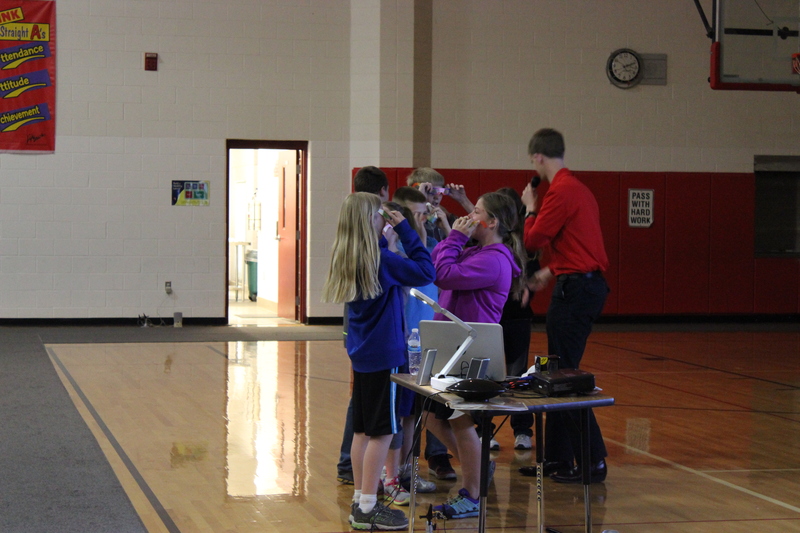 While I had aimed the K-5 presentation to mostly show how cool optics and science in general are, the 6-8 graders received a slightly different presentation reflecting their older age. 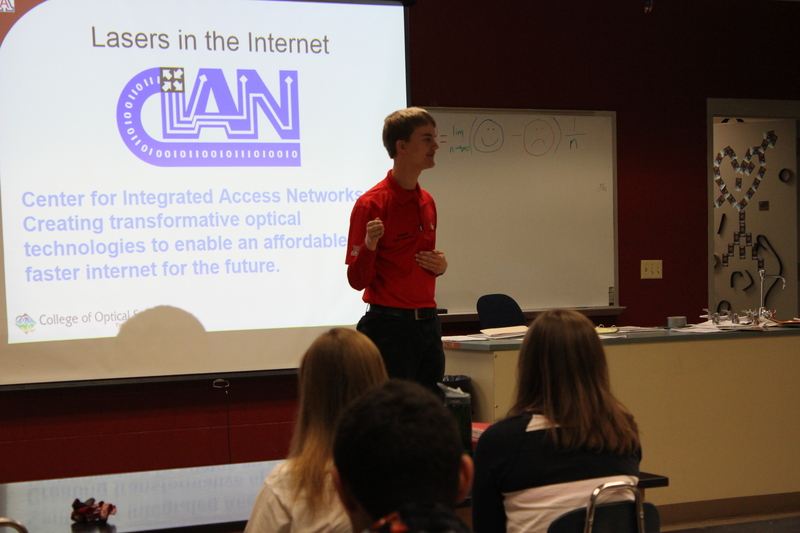 This presentation focused more on the technological impact of optics and I also talked briefly about career ideas. It wasn’t a dry presentation though! I kept it exciting with some of the same and new demos from the ones I had used before. This group again really enjoyed it. I received some good questions from this crowd, too. For the high school class, the physics instructor had specifically asked for a presentation about laser and holograms, since he had seen both my real holography video and the video from the Discovery channel. I showed both these videos to the classes, as well as the laser radio and how an optical fiber worked. This particular physics teacher actually did a fair number of optics experiments with his classes, so they were able to understand concepts such as TIR in fibers. 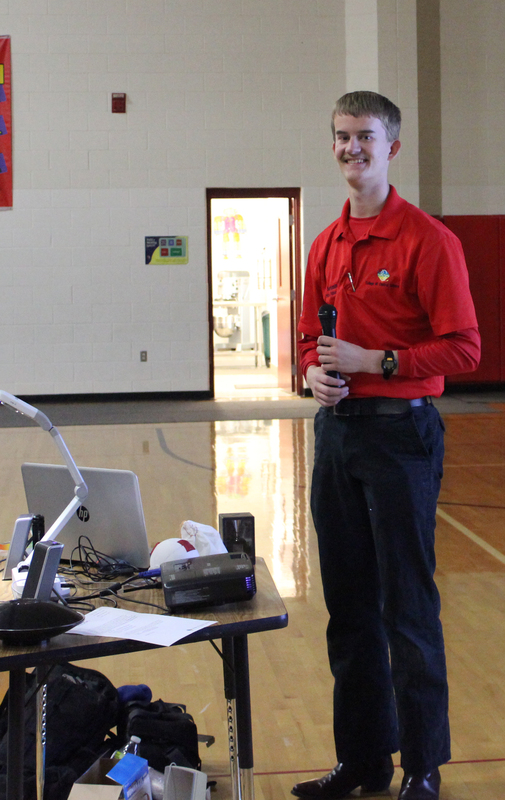 These students also heard about the University of Arizona and the College of Optical Sciences. This entry was posted in Education, Outreach, Uncategorized and tagged CIAN Students, College of Optical Science, education, outreach, STEM, University of Arizona. Bookmark the permalink.